The Aruba is a modern / conventional small block kit home plan with four bedrooms and two bathrooms. It boasts an open plan kitchen, lounge, dining area adjacent to an outdoor covered verandah, as well as a second living space which could be a formal sitting area or a media room. The parents retreat has a good sized ensuite and a walk in robe. The main toilet is oddly placed in the centre of the house with no outside ventilation. This home has a stylish multi-hipped roof that an owner builder would struggle with, although most of us get help from roofers these days. The basic listed price for the full kit (including internal linings, doors and robes) is $84,200 and is one of the cheapest in the almost 40 styles of 4 bed configurations offered by Imagine kit homes. 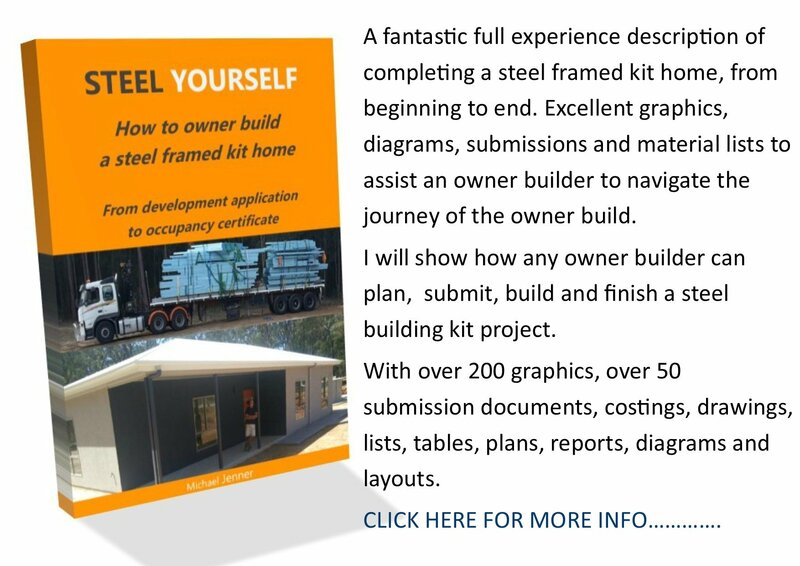 As a matter of fact it is one of the cheapest 4 bed kits available in Australia. Imagine's other 4 bed kits range all the way up to $400,000 (4 bathrooms etc) so they can cater to all price points and needs. 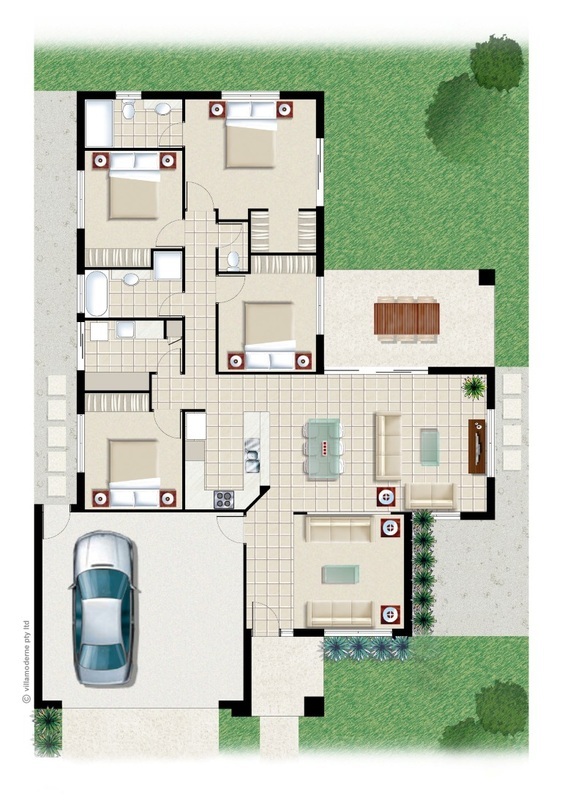 The Aruba design has a double garage under roof making the total area 200sqm. Imagine are in Australia, New Zealand, Tonga and Fiji. Imagine Kit Homes website is here. 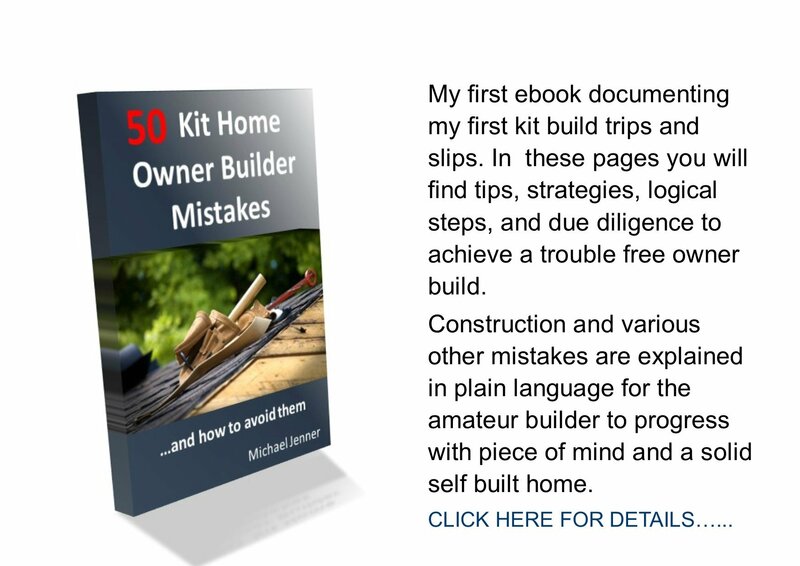 Go back to more Kit Floor Plan Reviews or to kithomebasics home page.